Visit Richard King's website: Rahway Valley Railroad Co. The Rahway Valley Railroad (RVRR), interchanging with the Lehigh Valley Railroad (LV) in Roselle Park and the Central Railroad of New Jersey (CNJ) in Cranford and the Delaware, Lackawanna & Western (DL&W) in Summit, NJ, was one of the most successful short lines in US history. 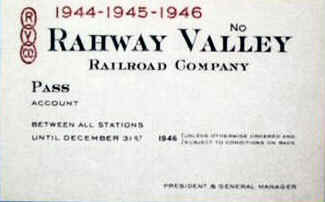 The RVRR was able to even turn a profit during the Great Depression. 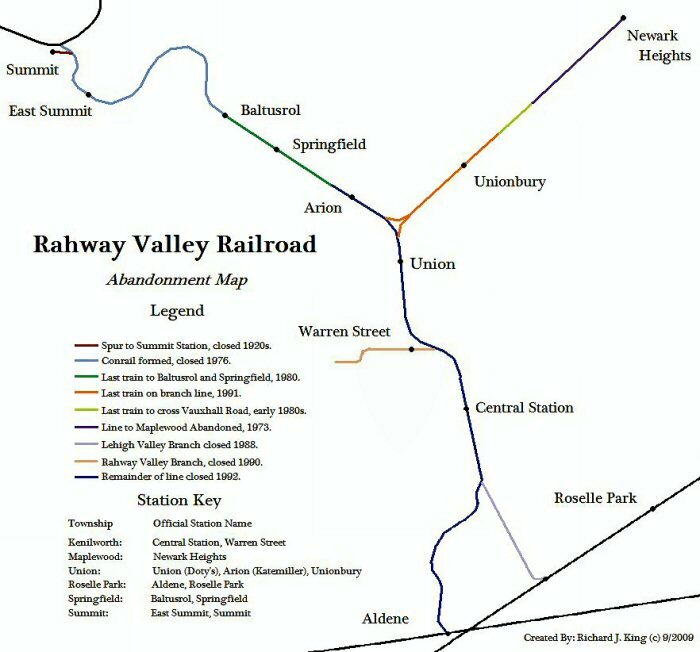 During its lifetime, it was instrumental in the development of Kenilworth, site of its headquarters, as well as Union, Springfield, and other towns along its route. 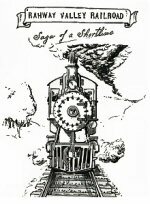 The railroad was created as part of an industrial development of New Orange (now Kenilworth.) 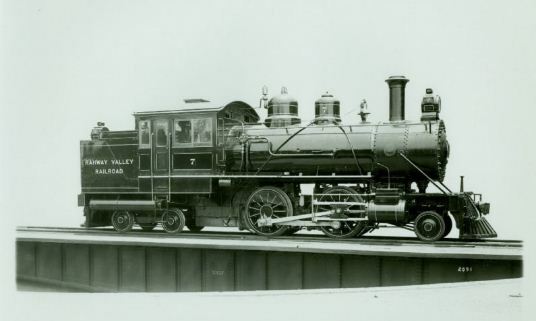 The New York and New Orange Railroad extended from Aldene with the Central Railroad of New Jersey and from the Lehigh Valley is Roselle Park to New Orange, four miles. 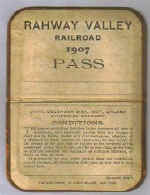 The line was foreclosed on in 1901 and was sold to the New Orange Four Junction Railroad. 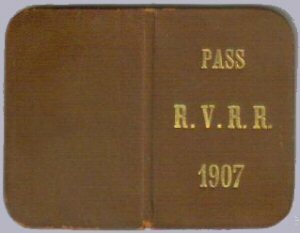 The NOFJ eventually went bankrupt in 1904. 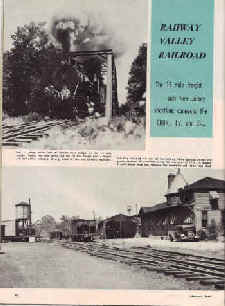 And was acquired in 1905 by Social Register publisher Louis Keller to provide passenger rail service to Baltusrol Golf Club, of which he was a founder. 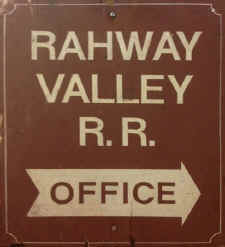 Later run as a freight-only line, the Rahway Valley was vital to industry in the area, with customers ranging from small fuel companies to Monsanto Corp. As customers switched to truck freight, moved away, or went out of business, the Rahway Valley Railroad withered to the point that service ended entirely in 1992. 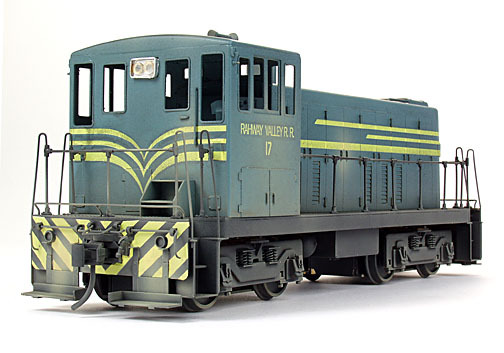 O scale model of #17 in green livery that I painted for my model railroad. 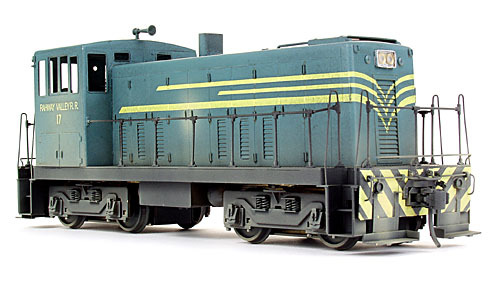 The model was imported by Yoder Scale Models in 2003. The lettering was custom printed on Micro-Mark blank decal paper from artwork I produced myself. 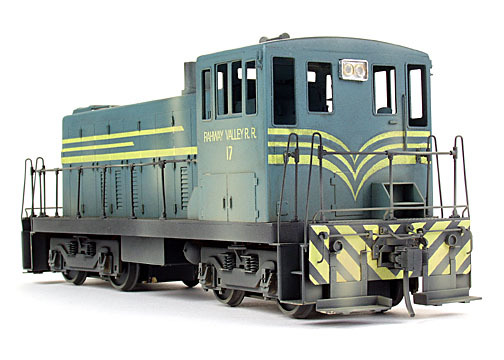 The paint was a custom blend of Floquil colors that I matched against the original color slides. 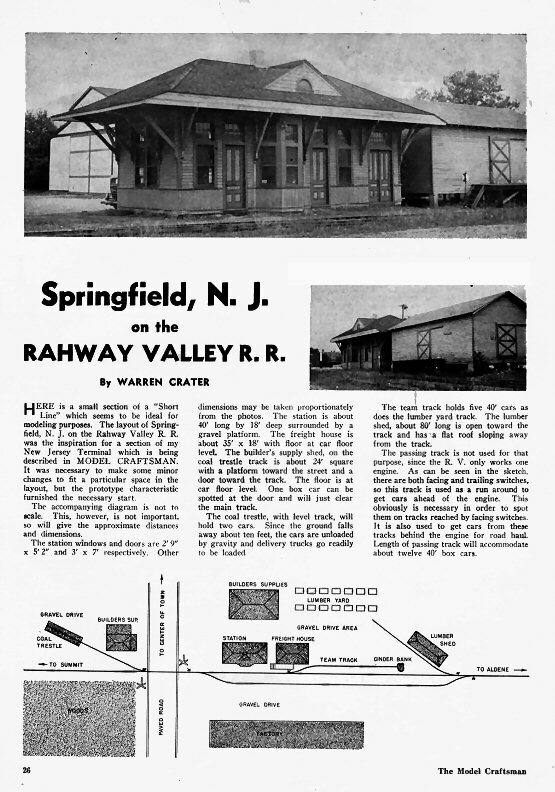 The DL&W interchange in Summit was the first casualty in the post Conrail world. 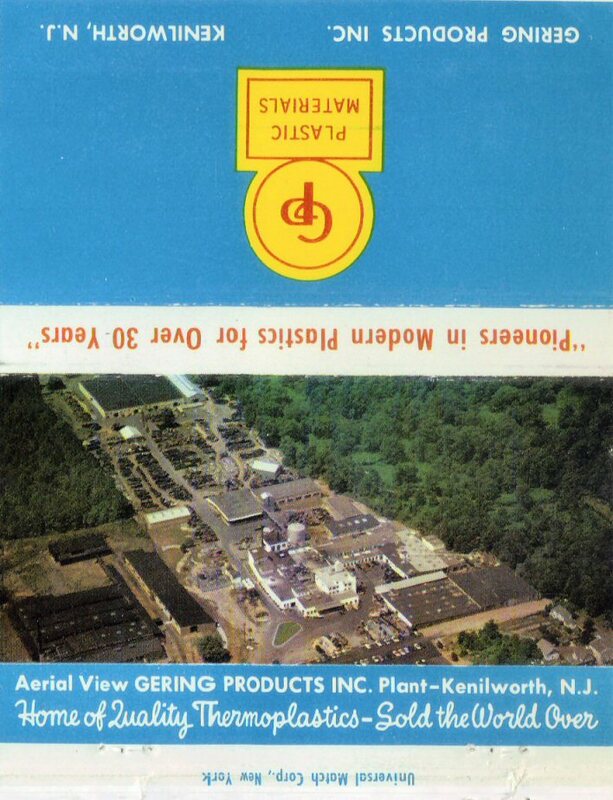 The last customer in Summit was the Foster Bell plant along the Springfield / Summit border. 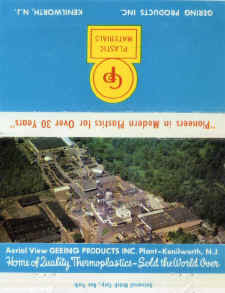 The plant closed in the 1980's. With its closure, the active portion of the RV was cut back to just south of the Rahway River bridge on the Springfield/Union border. When Delaware Otsego (NYS&W) took over in 1986, the Primary interchange was moved from the LV interchange to the former CNJ interchange at Cranford (actually Aldene in CNJ days). 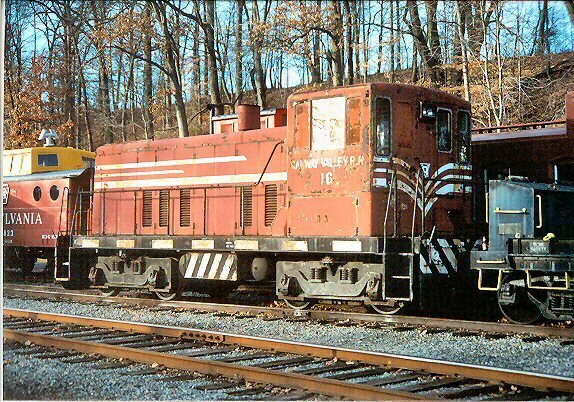 The RV had embargoed (not abandoned) the CNJ interchange with the coming of Conrail. 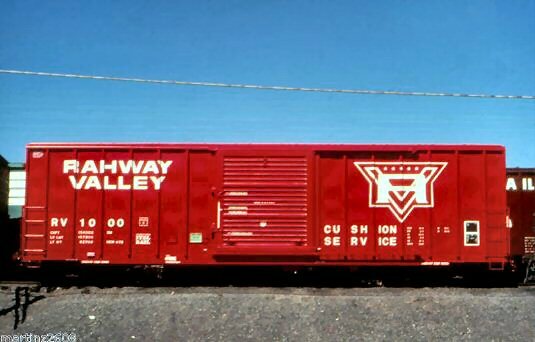 This track was restored by the Delaware Otsego Corp. By 1987, the RV/LV interchange was no longer used. 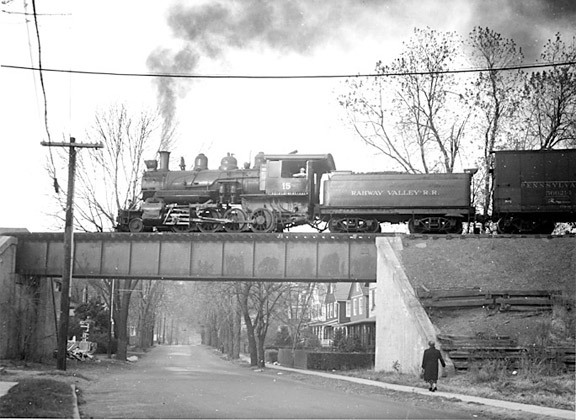 As for the Maplewood Branch, the construction of Interstate 78 chopped the line back to Vauxhall Road in Union. Recent housing development cut the line back to Morris Avenue. 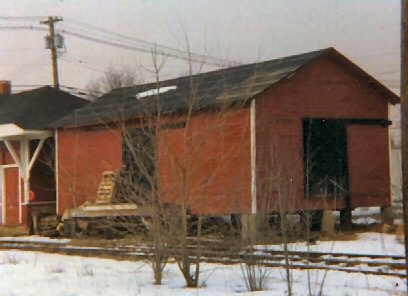 Jaeger Lumber off of Morris Avenue was the last active customer north of Rt. 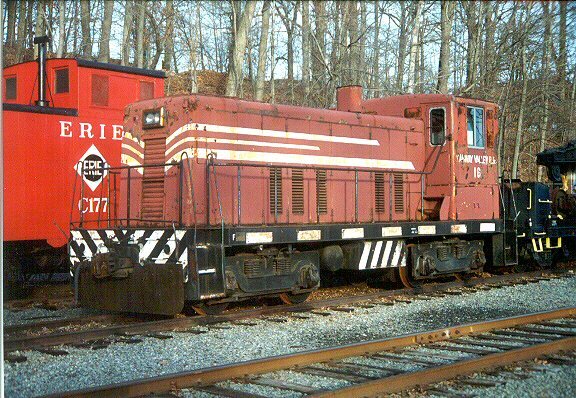 22 They stopped receiving cars in the late 1980's. 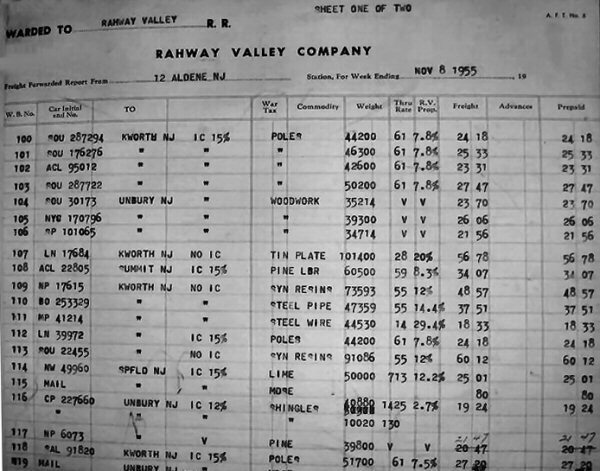 When the State and Union County bought the property in 1994, they faced a couple of immediate problems. Two bridges along the line didn't allow 14' clearance underneath. These are the two bridge in Summit that were removed. 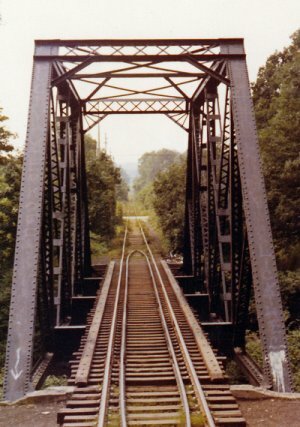 Since it was felt that there would be no immediate need to restore this section of the line, the bridges could simply be removed and replaced "when necessary" (Read: never). 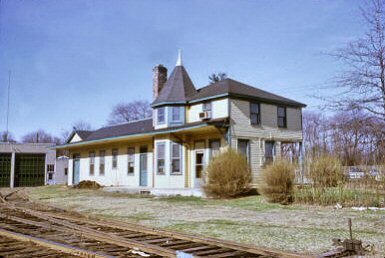 At the same time the Delaware Otsego was selling the right of way to the LV so that homes could be built, they also sold the entire Monsanto Branch right of way to eager adjacent homeowners who finally got their wish of seeing the "eyesore" railroad disappear. I believe that the removal of this segment will be the one that will be most regretted in the future. The entire line in that area was to run at "yard speed" and that limited them to a max of 15mph being able to stop short of any obstructions. A switch that had about a 10 foot high switch target on it. (Note: It was not connected to anything but the high target.) It was set one way while the LV switched the stub, and set the other way for the RV. 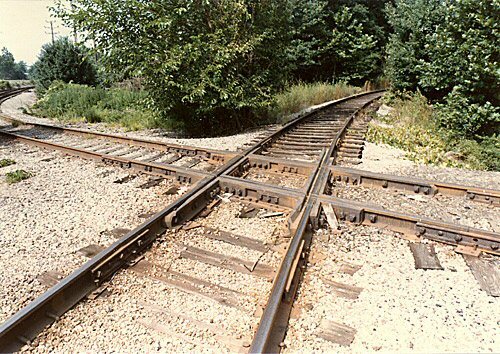 Upon throwing the switch it would show clear to go across the diamond for the LV to service the industry east of the diamond. 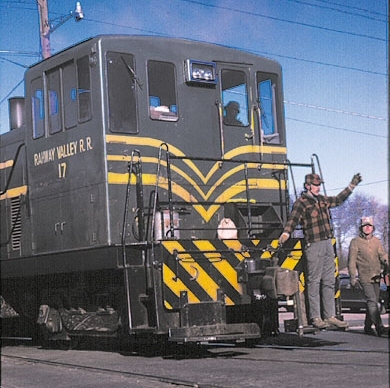 When completed switching the industry the signal was returned to its normal position of clear for the RVRR crews to run across the diamond crossing to switch the interchange. As with Summit, this interchange would have setouts and pickups providing a reason to have the foreign road switchers operate in the area. 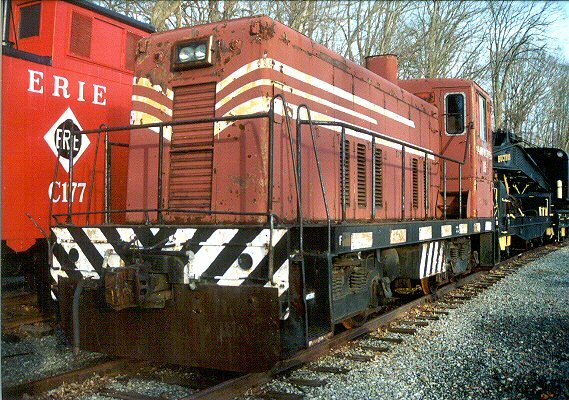 I have circled in RED the area, I believe, that is the location of the above locomotive photo. 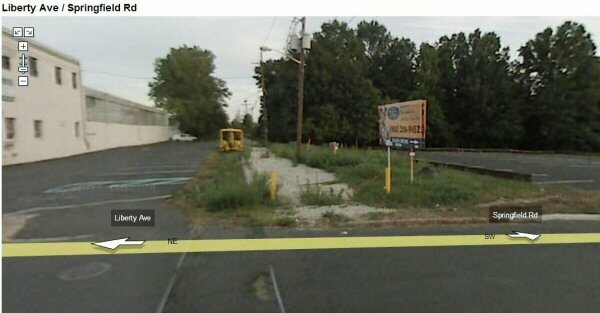 The yellow dashes mark the path I used to take every weekend in order to go from my home on Liberty Ave in Union, NJ, to Galloping Hill Golf Course, where I was a golf caddy for 5 years. 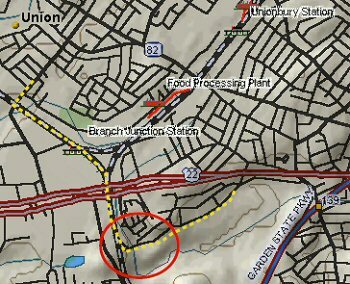 It took me onto the RVRR right-of-way that ran along "what would appear that water area". 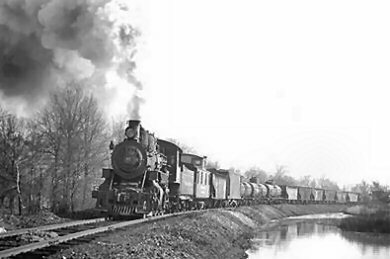 Mind you, I caddied in the early 1960�s and that photo goes back to the days when locomotives were running � which I believe had to be before 1955 (I absolutely recall seeing what may have been the last locomotive cross Liberty Avenue in that pre-1955 time frame). 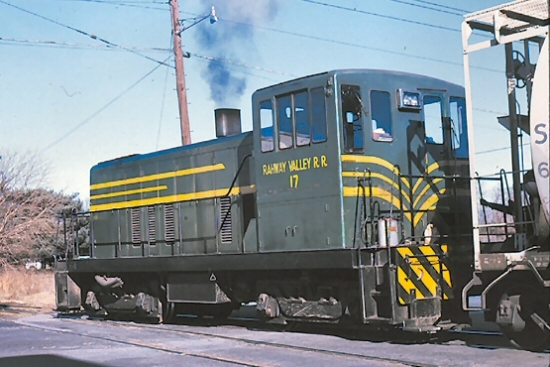 As such the terrain had changed by the 1960�s � with far less water adjacent to the tracks � but the slopes still existed � and I recall shimmying down those every weekend! What memories. 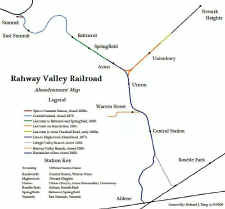 My trek each weekend along those tracks was always an adventure � especially when I had to cross ROUTE 22. Had my parents known I was doing that my life would have ended as I knew it then! LOL! 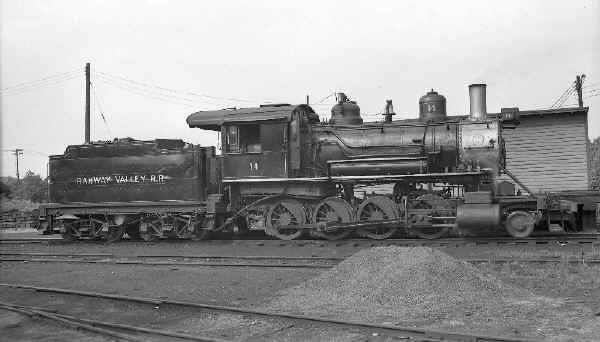 The SW photo shows the tracks and what still appears to be the �ramp� to the right, which today is adjacent to a parking lot. 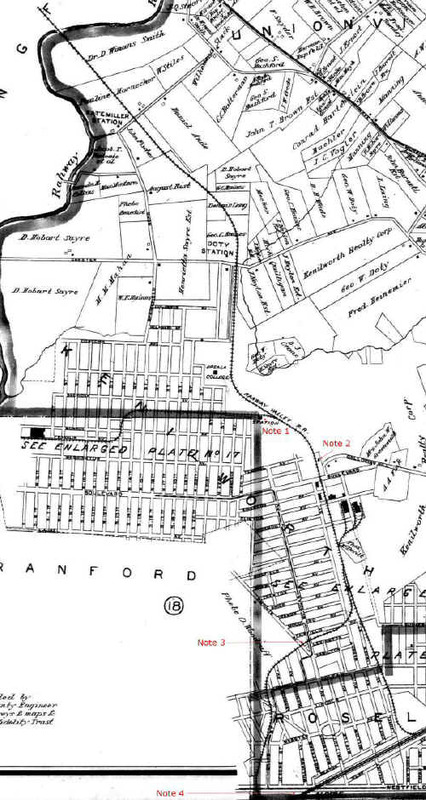 Note 1: Kenilworth, Warren Street Station - There was no actual Warren St. in Kenilworth, it was in the original plans for New Orange though. Warren Street Station is simply marked "Station" on the map.